It’s 2018, and one thing’s for sure: the unicorn & mermaid trends are still going STRONG. There’s something about the whimsy, sparkle, and all around *magic* of these characters that just makes people happy. It also makes them great for gifting! 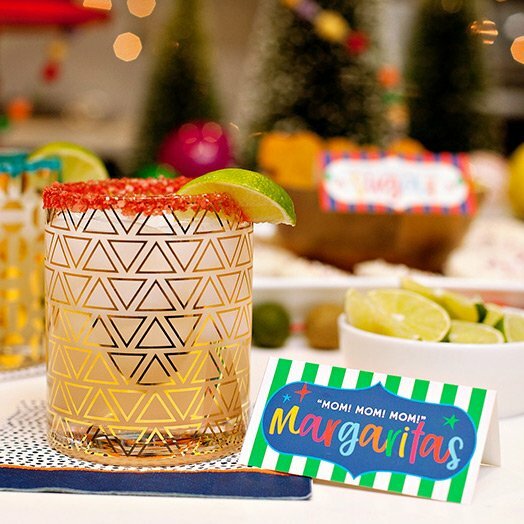 Speaking of gifting, I’m excited to team up with Walmart again to bring you fun holiday gift ideas for the KIDS this time. 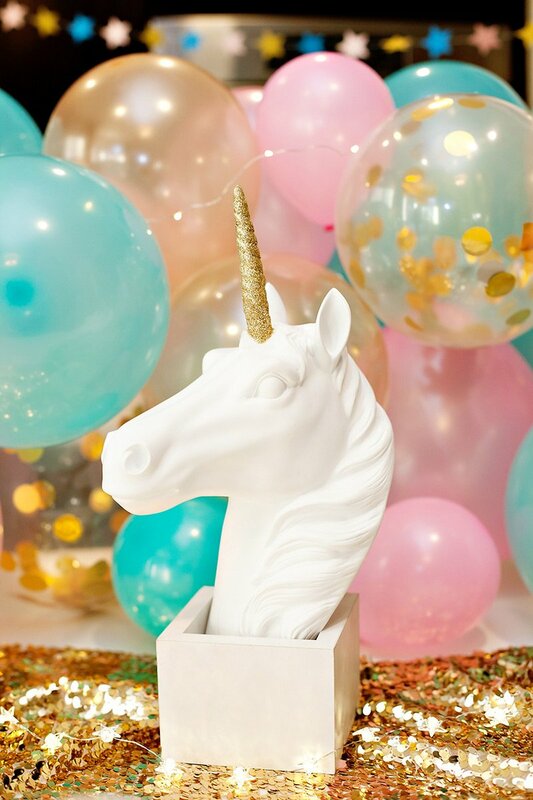 (See my adult-friendly unicorn gift guide right here.) Between their great selection of popular items, Free 2-Day Shipping* on orders over $35, and Pickup Today** at a store near you, Walmart is really making holiday shopping the most convenient this season! 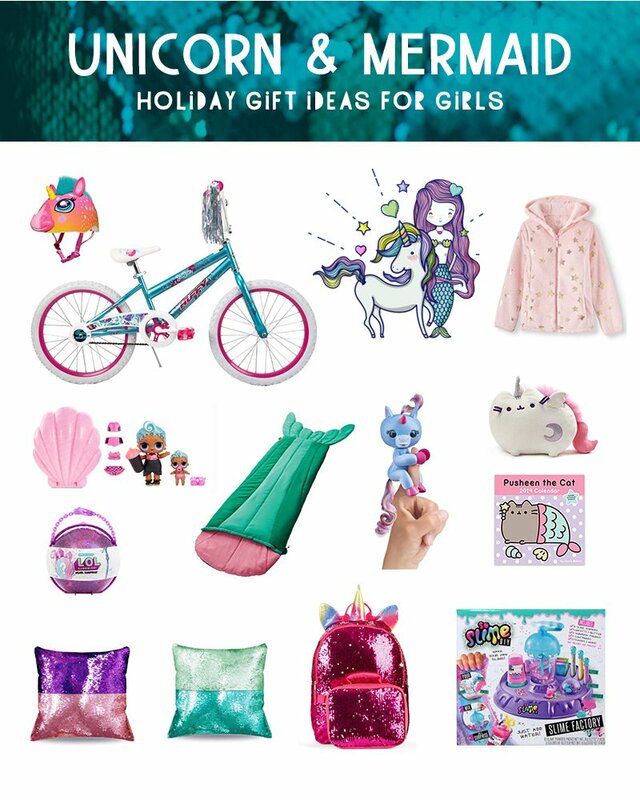 One of the best things about this gift guide for girls (ages 6 and up) is that KIDS weighed in on to it too. 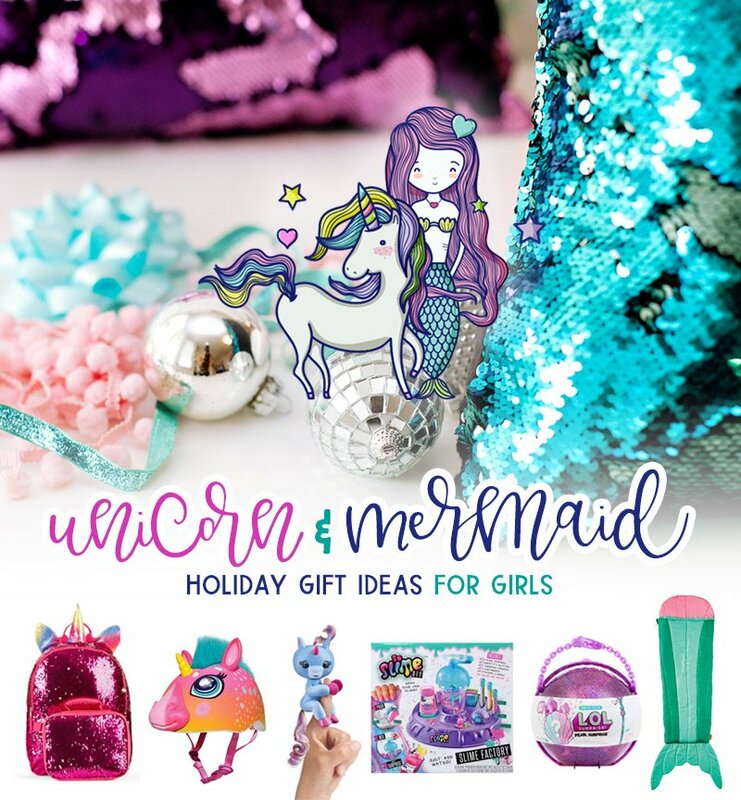 After curating a big list of unicorn & mermaid inspired finds, I narrowed it down based on the feedback and “excitement factor” from my own daughters (ages 6 and 8) and their friends. Read on to see what made our final list! Whey they say “EZ Build”, they aren’t kidding! 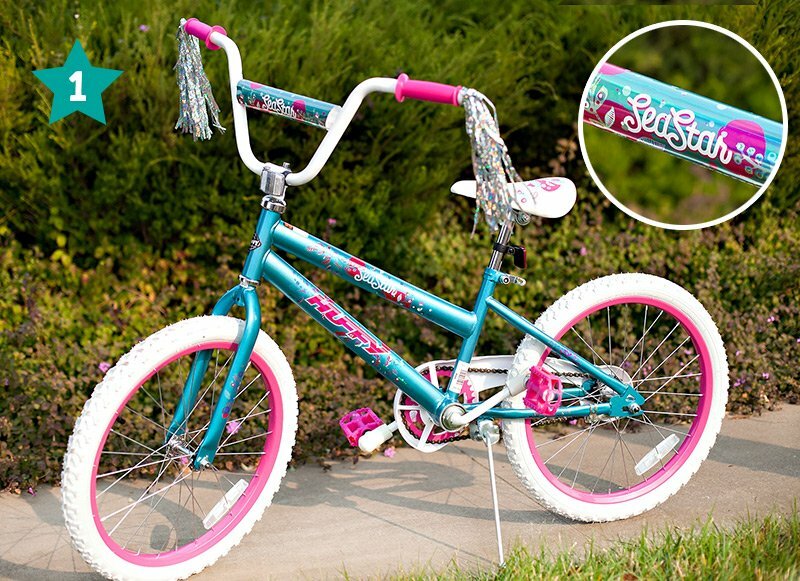 This shimmery, 20″ girls bike took less than 10 minutes to put together and required only one tool. While this “quick and easy” factor is great any day of the year – it’s EXTRA helpful when you need to stealthily put a bike together in the wee hours of Christmas morning/eve!  I also appreciate how sturdy and substantial this bike feels – especially considering the (very budget-friendly) price. As for the kids, they were definitely fans of the bright pink & teal color palette and sparkly handlebar tassels! 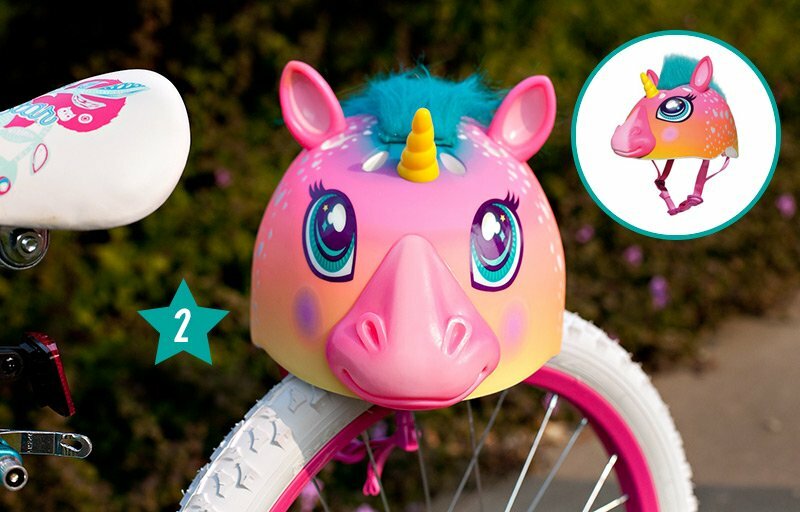 For the perfect unicorn-and-mermaid gift duo, pair the Sea Star EZ Build Bike with a colorful unicorn bike helmet by Raskulls. My youngest daughter totally flipped when she saw this – both online and then again when it arrived. The helmet features a 3D muzzle, faux mane, and a unicorn horn and ears made of durable rubber. It’s recommended for ages 5-8. Fingerlings are definitely on the hot toy list this year, and they happen to come in several unicorn styles. 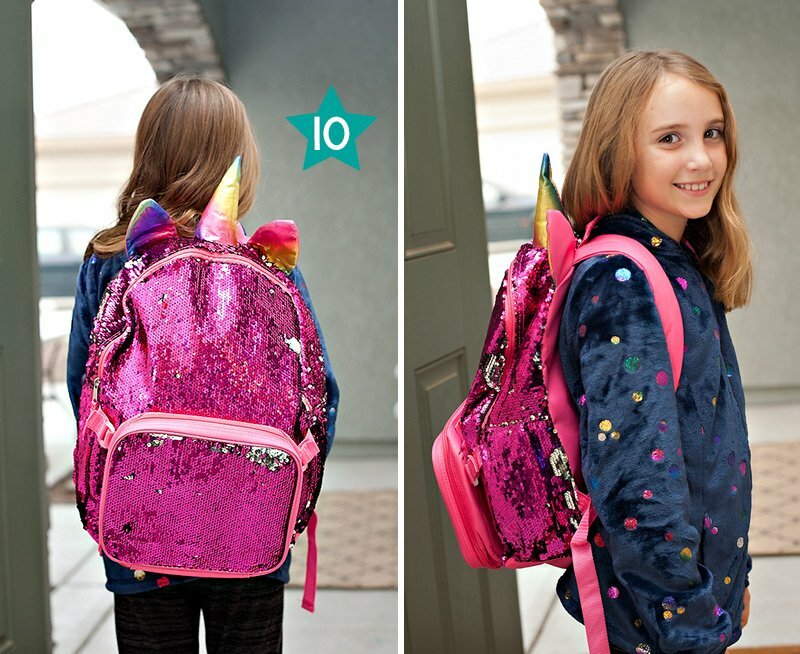 ;) Pictured above is the Stella Baby Unicorn, which is on sale at Walmart right now! The pink JoJo Unicorn was another favorite Fingerlings style and features a light-up unicorn horn. With kids that are constantly growing, a new season can also signal the need for a new wardrobe, since nothing seems to fit from the previous year. 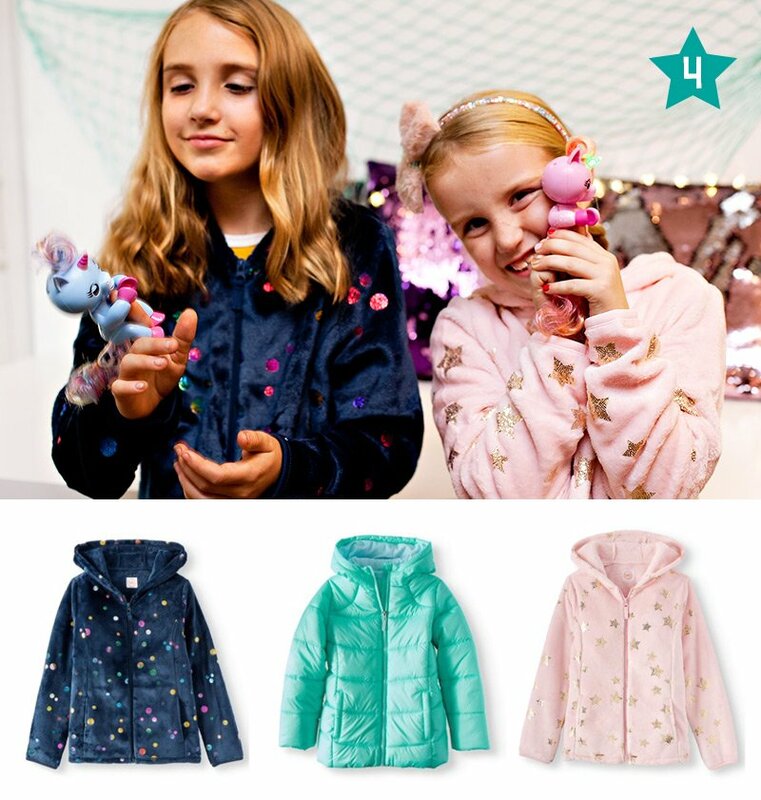  This can add up VERY quick and makes budget-friendly options like these Wonder Nation Plush Zip Jackets a must. These hooded jackets are super cozy and warm, feature cute metallic foil prints, and are available exclusively at Walmart. Also pictured above, center: the Wonder Nation Quilted Bubble Jacket in a mermaid-approved shade of “Aqua Surf”. LOL Surprise! toys have been a very popular brand in our house (and our friends’ houses) for the past couple years. They have that anticipation factor that kids just go crazy over. 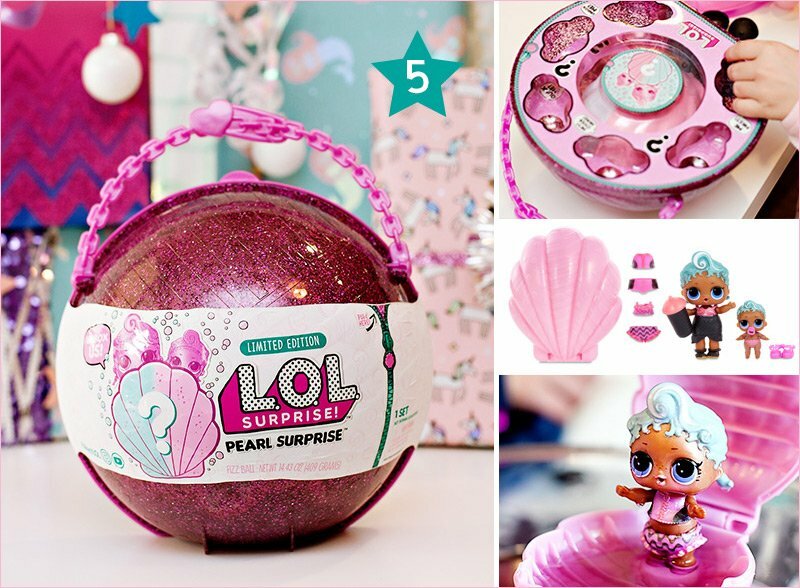 This year it’s all about the glittery LOL Pearl Surprise, which comes with the main dolls encased in a giant clamshell-shaped fizz ball for an extra layer of sea-inspired “opening” fun. 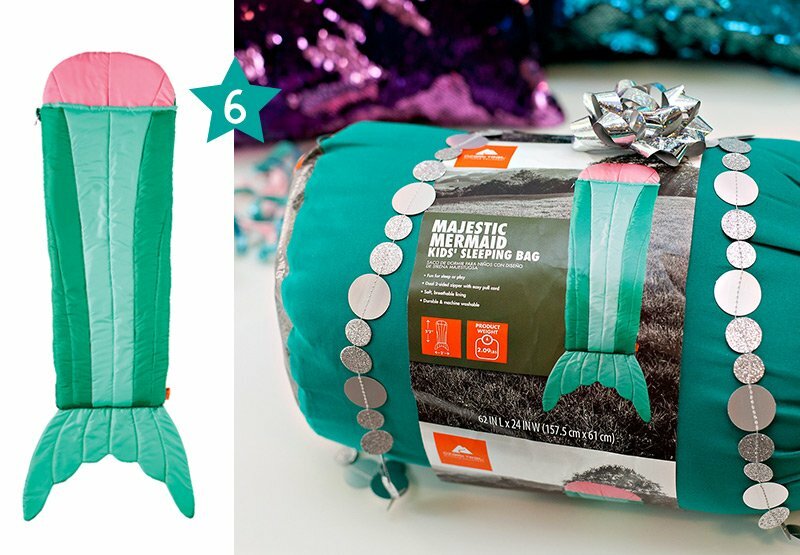 Ozark Trail’s Majestic Mermaid Kids’ Sleeping Bag is the perfect gift for pint-sized mermaid fans! These adorable sleeping bags – available exclusively at Walmart – are affordable enough to grab an extra one for mermaid siblings and BFFs, too. 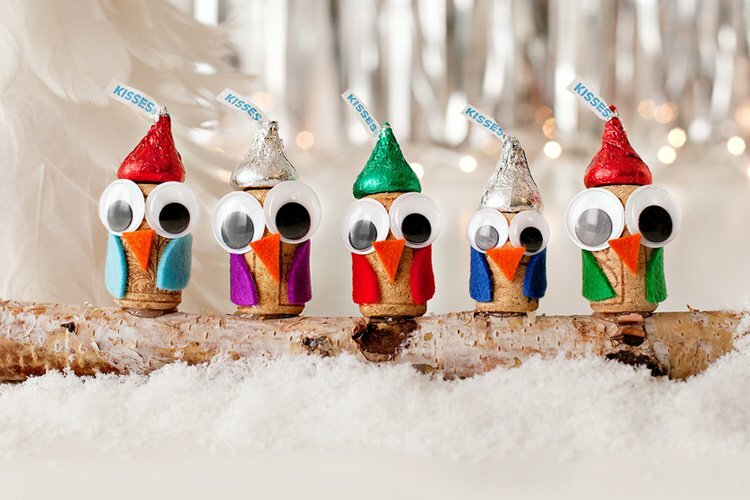 They also come in additional fun themes and characters, like Sprinkles the Cone, Sparkly the Robot and more. I’m predicting lots of extra-cute sleepovers (and naps!) in the future. 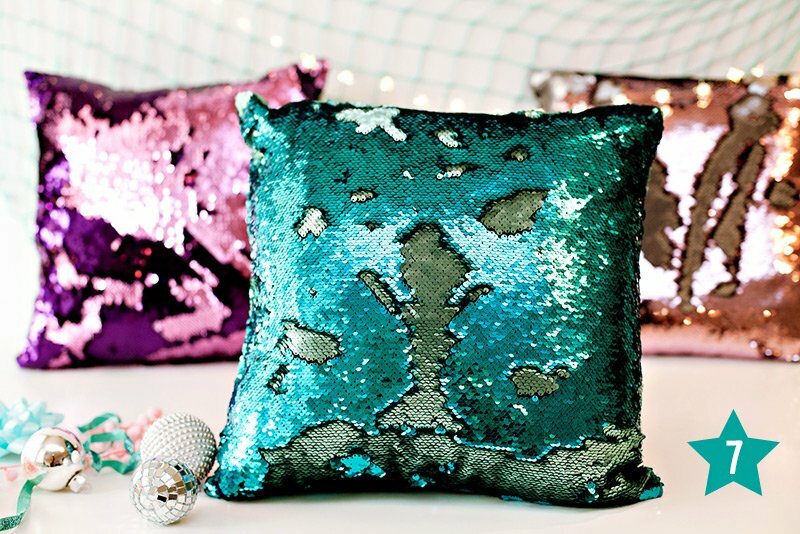 These sparkly, 17″ sequin pillows add a big dose of *mermaid magic* to your little one’s room at a very affordable price! Available in a whole slew of fun colors, they act as both pretty room decor AND a (mess-free!) canvas for creativity. One of my daughters designed the “mermaid scene” on the teal pillow above, and both of them had lots of fun drawing different designs and letters/words in the sequins over and over again. This is technically 2 different items, but I couldn’t resist combining them into a single, perfectly Unicorn-and-Mermaid (and Cat!) themed gift. Pusheen the Cat is another brand that’s been popular with younger girls for a while, and this plush Unicorn Pusheen with sounds and lights is pretty much as cute as it gets. 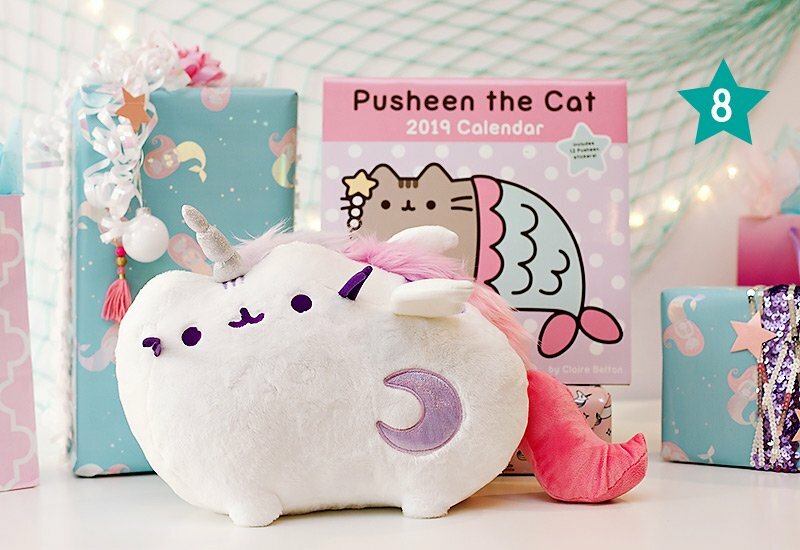 Pair it with a Pusheen the Cat 2019 Calendar that features “Mermaid Pusheen” on the cover, and you’ve got the gift of sweet unicorn and mermaid dreams all year long! 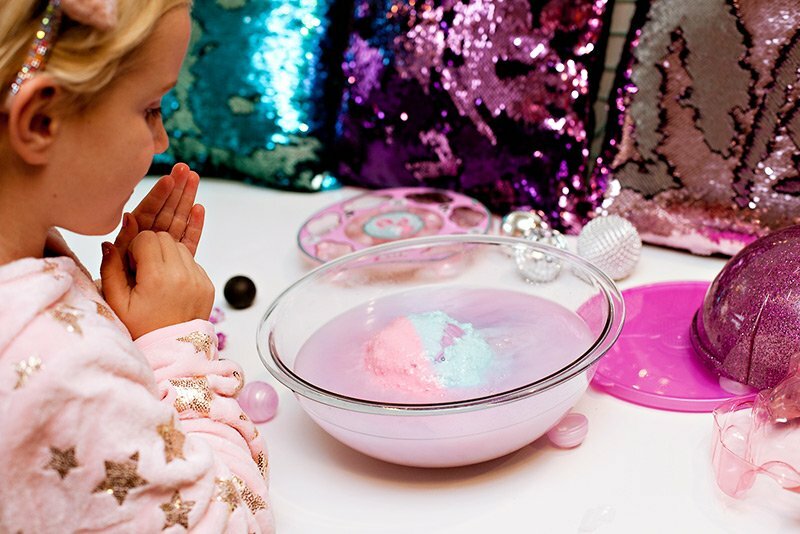 The slime craze is another trend that doesn’t seem to be going anywhere. 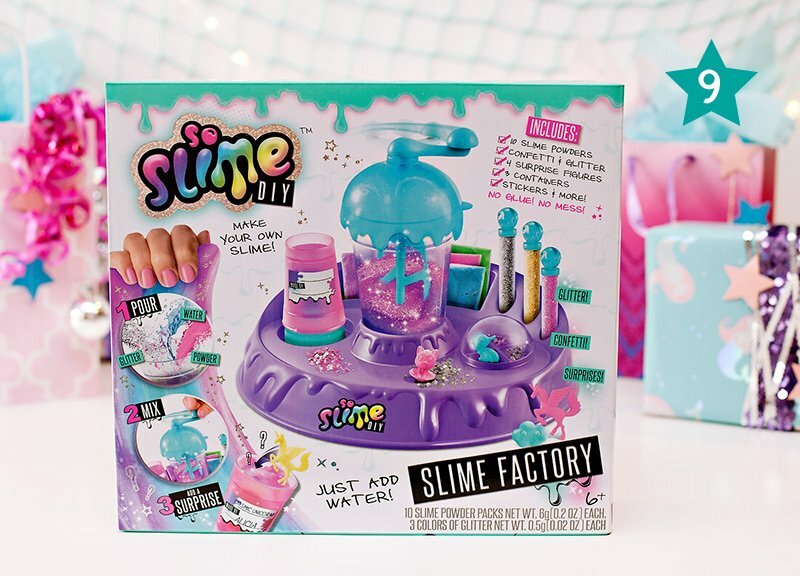 We’ve gone through countless bottles of glue at our house in the past year, which is one of the reasons I especially LOVE this NON-GLUE Slime Factory kit. 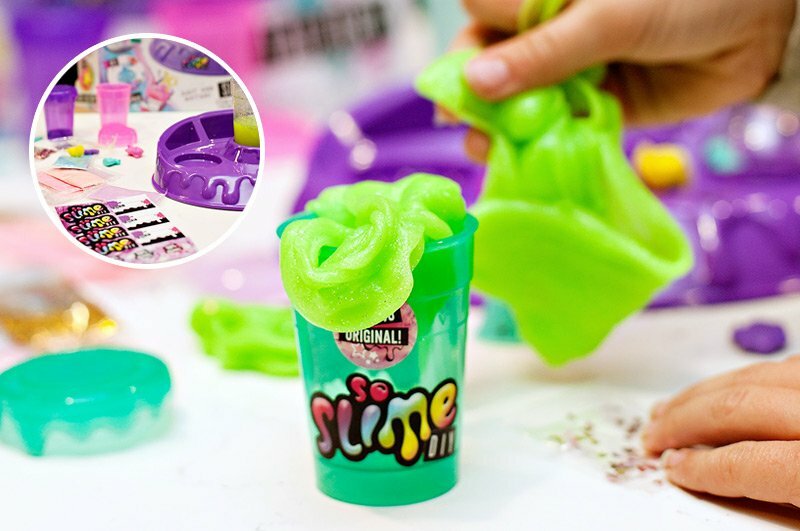 It’s a “just add water” design that comes with pre-colored slime powders, confetti, surprise charms, and more. I’m usually a bit skeptical when it comes to the quality of boxed kits, but the slime that my 8 year old made with this little “factory” was fantastic… perfectly squishy and stretchy without being sticky at all. 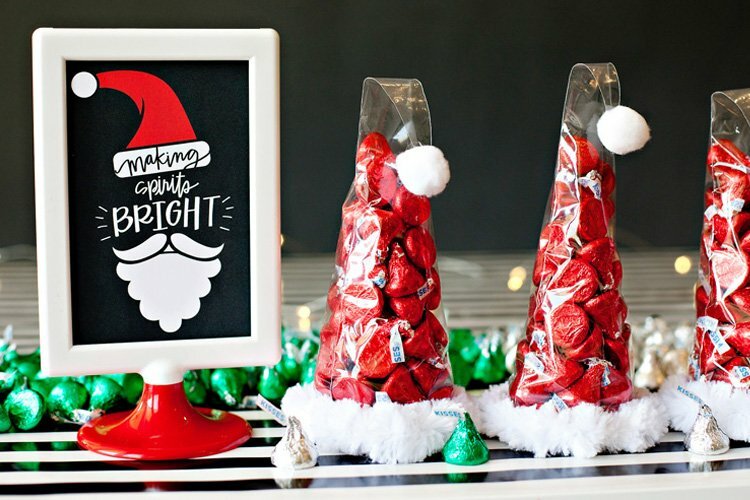 This is going to be one of our new go-to gifts for birthday parties, too! • Free 2 Day Shipping on eligible items. No Membership fees. • Free shipping within 2 business days on orders placed before 2pm, excluding weekends and holidays. Minimum order $35. • Order online. Free same day Pickup in store on eligible items. • Order by 4pm for free same day pickup. Special thanks to Walmart for sponsoring this post! As always, all thoughts and opinions are my own. 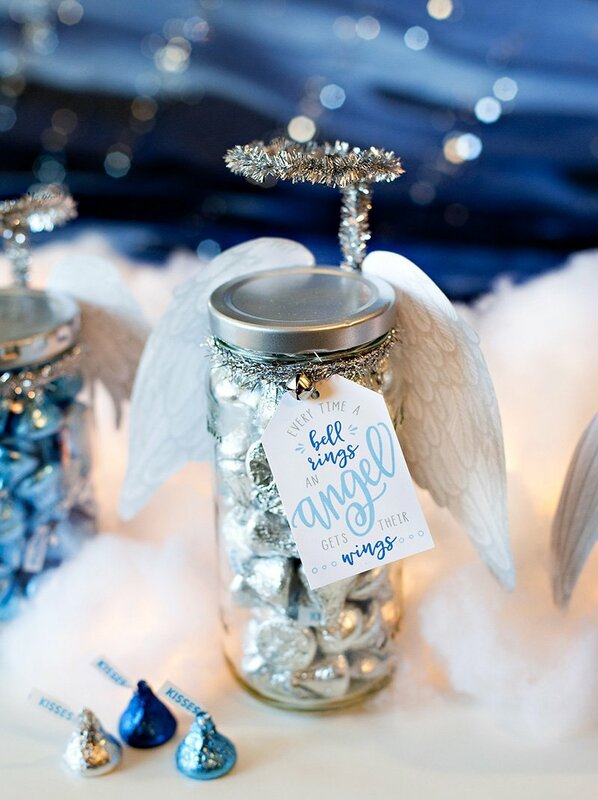 For lots more helpful gift ideas across different categories, please visit Walmart’s Gift Guide Guru. HAPPY HOLIDAYS!